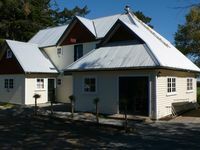 Property 12: Te Waihora Lodge, Lake Ellesmere Farm Stay. Terrace Downs. Modern 2 Bedroom Villa. Mount Hutt. Property 18: Terrace Downs. Modern 2 Bedroom Villa. Mount Hutt. Entire Guest Suite, High Spec New House, Dedicated Front Door with Digital Lock. Property 22: Entire Guest Suite, High Spec New House, Dedicated Front Door with Digital Lock. Goodford newly decorated and double glazed. Property 26: Goodford newly decorated and double glazed. It was a busy weekend riding bikes at Mt Hutt. The cottage was perfectly located, beautiful spot, lovely to come home to. Would have been nice to have had a bit more time to enjoy it. Even so we had a fantastic weekend. Thank you so much.